Recintha P.G. 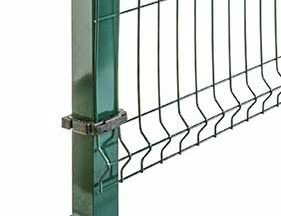 wire fencing panels are a modular fencing system, with no sharp edges, ideal for playgrounds, public parks and recreational areas use in general. 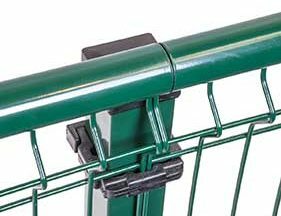 The patented joint fixing system ensures versatility and ease of installation. 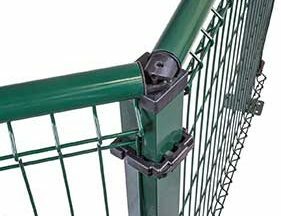 The special top handrail conceals all protruding parts, making of it a secure fence. Recintha P.G. 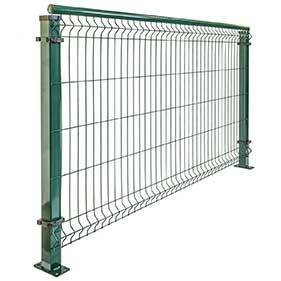 wire fencing panels are modular panels made of 5 mm welded wires. Mesh size 50 x 200 mm, with no sharp edges, topped by a 38 mm diameter tubular handrail with polyamide CF curved clips to join corner sections. Installation with universal MP or crab-type clips for respectively square or round tube posts. Post center-to-center distance: 2530/2565 mm with square post, 2015/2045 mm with round post. Discover for yourself why so many companies just like yours choose Marco Specialty Steel for architectural Recintha P.G. 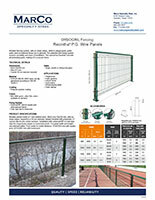 wire fencing panels and all their metal product needs. Contact us for more information about our products and services and get a no-obligation project quote today.